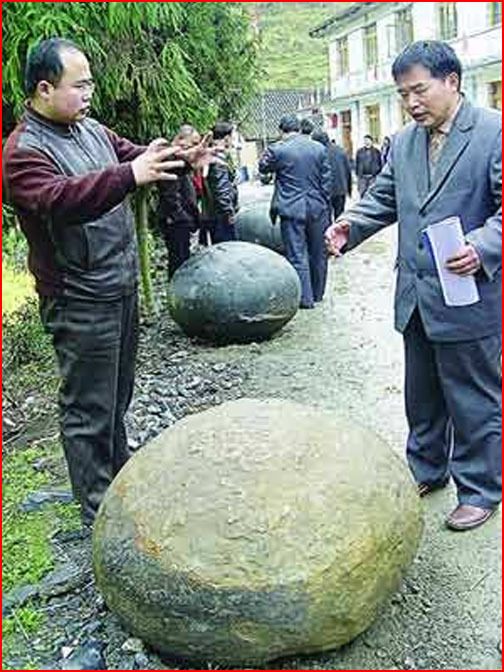 The recent discovery of large stone spheres in China brings to mind the mysterious accumulation of similar orbs in various locales. Experimental evidence suggests they may have been created by high-energy electric arcs. 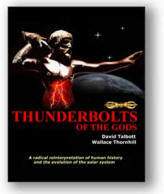 Ancient civilizations have endowed stone spheres with godlike characteristics. Many of them have been elevated on plinths and worshipped as messengers from heaven. From Greece, Rome, Arabia, and many other locations, there is evidence that the spheres either “fell from heaven” or were formed in mysterious and possibly catastrophic events. A crew of road-builders unearthed the Chinese stone spheres, located in the Hunan Province, while digging the foundations for a new highway. The stones are of various sizes and are so numerous that the hill in which they were discovered was called a “stone egg mountain.” Other deposits are located in the Shennongjia Nature Reserve Area of Hubei Province, adjacent to Hunan. A similar grouping of stone spheres has been found in the Bosnian pyramid structure. Also ranging in size from a few inches to several feet in diameter, the spheres are remarkably similar to ones found buried in Costa Rica. Those spheres are thought to have been carved by the Olmec civilization, because they are often resting among huge stone heads, artifacts attributed to the Olmecs. So, we should look elsewhere for the cause – one that takes into account their symmetrical structure. In a previous Thunderbolts Picture of the Day, a description of glassified spherules, created by Dr. C. J. Ransom’s experiments with high voltage discharges, lent credence to the theory of lightning strikes as the means by which stone eggs form. Based on research into the shape and size of so-called, “blueberries” on Mars, Dr. Ransom exposed samples of rock dust and soils to high voltage electric discharges. His results are remarkably similar to the Martian blueberries, and to other such accumulations of stone balls on Earth. Electric arcs tend to gather matter within the center of a vortex and “pinch” it into a sphere – which may be subjected to a greater or lesser degree of melting. Because of their vortical nature, such “z-pinches” create zones of compression, thereby forming several kinds of “stone egg”: Moqui balls – iron spheres with sandstone cores, cannonballs, blueberries, thunder eggs, Apache tears and geodes. Many of them are hollow inside. And mysteriously, geodes found in Illinois and neighboring regions of Iowa and Missouri are filled with oil under pressure. So, where did the Chinese stone eggs come from? It may well turn out that the best explanation is the one that geologists have yet to consider: that they came from the center of a whirling vortex of electrically charged plasma that penetrated into the depths of the hill and fused the contents into large, round nodules.